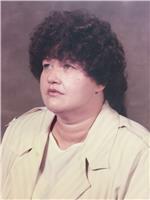 Hinesville - Sonja Crawford, 69, passed away Sunday, April 7, 2019 at home with family by her side while under the care of hospice. Mrs. Crawford was born on July 31, 1949 to the late Franz and Louise (Meyer) Helget. She was a native of Neuenburg, Germany who had lived in Liberty County for the past 33 years having moved here from Germany. Mrs. Crawford was a homemaker and an animal lover who truly loved her job at the Liberty County Humane Shelter. She will be missed by her family and friends. Survivors are her husband of 33 years, Dennis Crawford; son, Manfred Helget of Germany; step-daughter, Emma McNally of Kentucky; and brother, Herbert Helget of Germany. Visitation will be held on Thursday, April 11, 2019 from 1 to 3 p.m. at the funeral home prior to the service. Funeral services will be held on Thursday, April 11, 2019 at 3 p.m. at the Thomas L. Carter Funeral Home Chapel in Flemington with Chaplain Keith Ferguson officiating. In lieu of flowers the family has requested that remembrances can be made to the Liberty County Humane Shelter, 279 Briarwood Circle, Hinesville, Georgia, 31313. Thomas L. Carter Funeral Home is in charge of arrangements.